The tw o-day Master DISC training certification program is designed to equip trainers with an in-depth understanding of DISC Behavioral Styles. We train on so much more than just the High D, I, S and C. We educate you on the Low DISC styles, varying intensities, combination styles and adaptations, both strategic and reactive. You will leave with the knowledge and confidence to apply the DISC methodology to leadership development, team effectiveness, communication strategies, coaching, hiring, and sales. Official DISC Certification | Includes over $900 in training materials and a Facilitator Kit! This is a behaviorally-based communication workshop. Participants learn how to communicate using the DISC language as a way of understanding themselves and others. The workshop incorporates a DISC behavioral style assessment to give a more complete understanding of what DISC is and how to use it to interact with others and to appreciate others’ behavioral styles. This class goes into deeper detail and provides intervention strategies and models to follow to implement DISC in your organization or training practice. Our web based, live online DISC training program is a popular choice for those who would prefer to avoid travel and enjoy the convenience of a live, interactive format. The online DISC training classes are interactive and conducted by Gregory P. Smith. Normally there are 2-3 students per class. See our testimonials and list of graduates. We can travel to North Carolina and provide DISC team training or you can come to our location in Atlanta and Durham, NC. We provide you the ability to identify, screen, prioritize and hire top talent by using customized online DISC assessments. DISC certification ensures the expert understanding of all tools and theories used within your organization. Certification will give you the training needed to effectively deliver the power of our assessments internally within your organization. Continental breakfast and all breaks will be included. Everyone has access to the continuously refreshed Crossroads Café including bagels & muffins, yogurts, whole fruit, cheeses, vegetables & dip, freshly baked cookies, protein and low carb bars, candy bars, chips & pretzels, nuts, ice cream bars, Starbucks coffee, sodas, juices and bottled water. Individual behavior styles and our emotional intelligence (soft skills) have a direct impact on our interpersonal relationships in the workplace. Individuals differ from each other in fundamental ways including their values, behaviors, talents, temperaments, wants and beliefs. Our workshop will help individuals understand each other better and appreciate the unique strengths and differences each person brings to the office. As a result, you will become a better leader, communicator, team member and gain key strategies to create highly effective working relationships. The workshop incorporates a DISC behavior assessment to give a more complete understanding of yourself and others. North Carolina DISC Training Participants will learn how to correctly administer, score and apply the DISC profile in their own workshops. 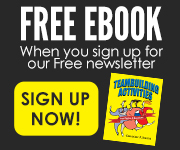 Discover proven methods to enhance personal and organizational results. Learn how to identify the emotional intelligence, strengths and the abilities of individuals and know which jobs people are best suited. Predict a job applicant’s behavior style before hiring or promoting them. Understand the temperament and ability of individual employees and managers. Understand the eight dimensions of normal behavior. Give performance feedback to people in a style they can understand and accept for improving performance and accelerating professional development. Understand the critical differences between Myers-Briggs, Inscape and other behavior based assessments such as executive, team, customer service and sales versions of the DISC training workshop reports. 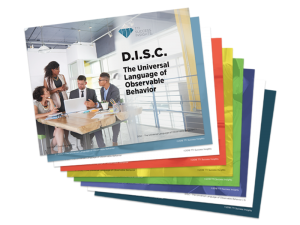 North Carolina DISC Training will learn to integrate the DISC assessment training tools and workshops into training and coaching applications. 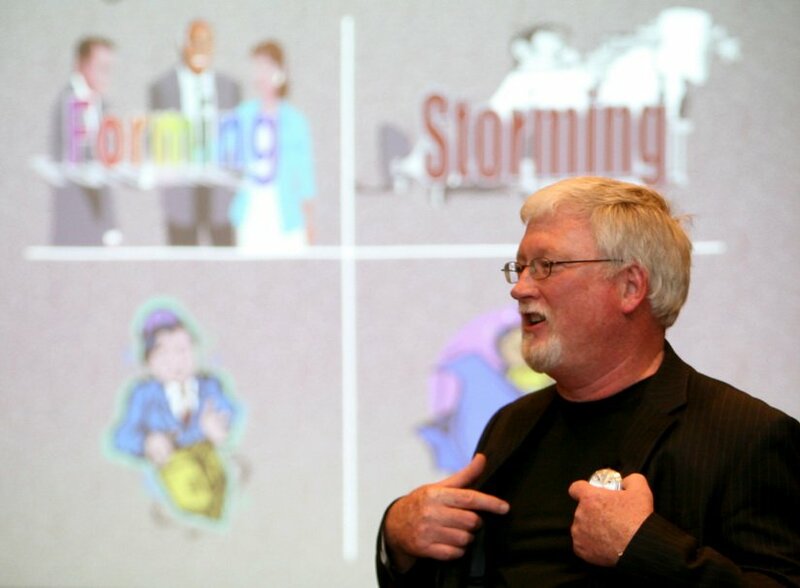 Learn how to design and deliver DISC workshops. The Research Triangle Park (RTP) is the largest research park in the world. 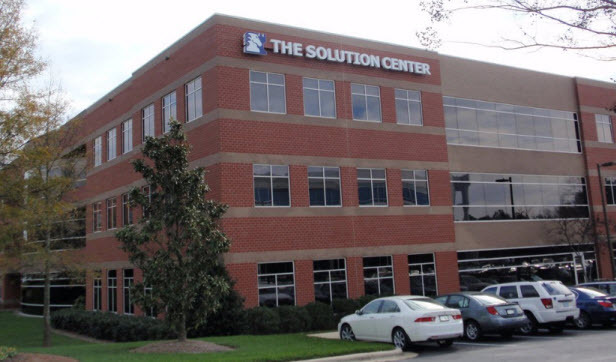 It is located near Durham, Raleigh, and Chapel Hill, in the Research Triangle region of North Carolina. A small part of the park stretches into Wake County, but the majority of the land is in Durham County. The Research Triangle, commonly referred to as simply “The Triangle”, is a region in the Piedmont of North Carolina in the United States, anchored by North Carolina State University, Duke University, University of North Carolina at Chapel Hill, and the cities of Raleigh, Durham, and Chapel Hill respectively. The eight-county region, officially named the Raleigh–Durham–Chapel Hill CSA, comprises the Raleigh–Cary and Durham–Chapel Hill metropolitan areas and the Dunn Micropolitan Statistical Area. A 2012 Census Estimate put the population at 1,998,808. The Raleigh–Durham television market includes a broader 23-county area which includes Fayetteville, and has a population of 2,726,000 persons. Greg Smith is one of the foremost DISC instructors in the country. He is the Founder and President of Chart Your Course International Inc., located in Atlanta, Georgia. His 30 years of leadership and consulting experience has helped propel him as one of the nation’s leading authorities on employee selection, DISC personality assessment training, talent management, employee engagement and organizational behavior. He has traveled to and conducted workshops in over 26 countries and developed professional and DISC training programs for some of the “Top 100 Best Places to Work.” Call us at 800-821-2487 or click here for more information. Greg is available for DISC Certification training in Winston-Salem, NC, Raleigh and Durham. (Phoenix, Tucson, Mesa), California DISC Certification training as in DISC training Los Angeles, San Diego, San Jose, San Francisco, Fresno, Sacramento and of course DISC workshops in Long Beach. Texas is one of our favorite states so there are DISC training programs in Houston, San Antonio, Dallas, Austin, Ft. Worth, and Austin. Virginia has Virginia Beach and Washington State has DISC training for Seattle. Washington, DC, DISC training and certification can be taught in Tampa, Florida, Gainesville, Florida, Chicago, and Louisville, KY, DISC and Baltimore, MD, DISC certification classes are possible as DISC training in Boston, MA, and Detroit, MI. Kansas City DISC certification classes are offered. 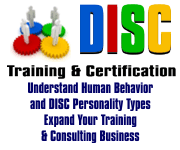 DISC behavior training in cities such as Omaha, Las Vegas, Albuquerque, and North Carolina (Charlotte, Durham and Raleigh DISC certification – RTP train the trainer) classes. New York, NY. DISC workshops located in Columbus, OH, Oklahoma City and Portland OR. Wherever you are, we are available for DISC training. I am interested in become DISC certified. As a field veterinarian with an animal health pharmaceutical company, my goal is to be able to teach DISC to my veterinary customers to help them communicate better with each other and their pet owners. I am seeing if others in my company are interested in certification. If so, we could meet at a central location, like North Carolina. Could you please send me additional information such as dates and costs? I just sent you an email with info.